We couldn't be more excited that Jane in the Woods asked us to be apart of this Southwest Elopement Styled Shoot. We've been drooling over teaser photos of this shoot for what feels like years now, and we're so ready to share them with you! 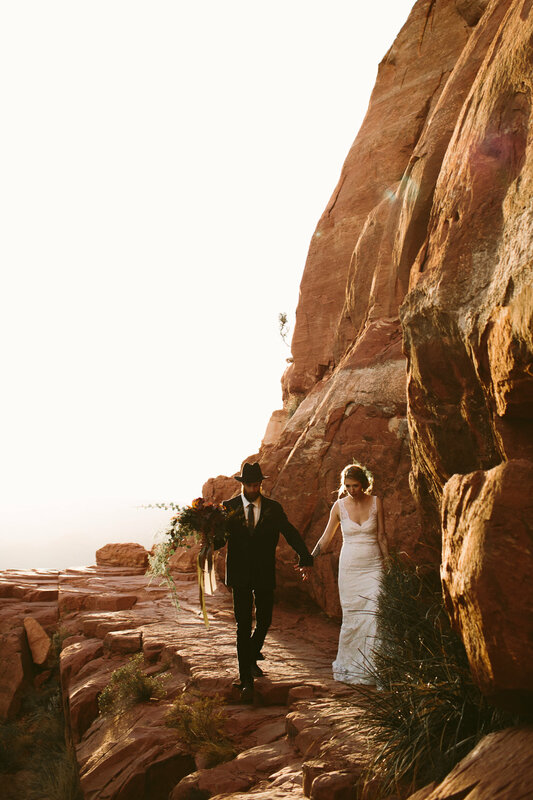 This beautiful elopement in the Sedona Red Rocks is everything your earthy, bohemian elopement dreams are made of! As soon as we found out the shoot was going to be at the Cathedral Rock in Sedona, we knew we had to use this all-over, lace dress. It screams boho elopement with its sheath silhouette and lace v-neckline. The model, Lindsay, rocked this gorgeous gown from our Phoenix location (that is still in stock! ), and to complete the bridal look, she wore delicate, drop earrings and a stunning wedding ring set from Renee Taylor Jewelry. Plus, a big thanks to Sedona Beauty Team for putting together Lindsay's flawless hair and makeup! We love how all the details subtly play off one another giving this shoot a very relaxed, eclectic vibe. From the amazing bouquet by Mountain High Flowers Sedona, to the gorgeous desert inspired invitation suite by Margaux Paperie with calligraphy by RSVPeas Calligraphy + Lettering, to the intimate sweetheart table tucked into the trees by The Confetti Studio & Tremaine Ranch. This Southwest Elopement was packed full of some of Arizona's finest! 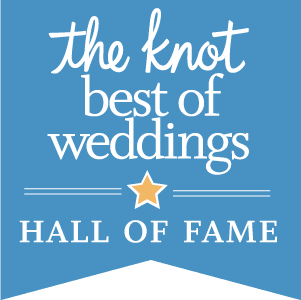 We feel so lucky to be part of such a talented team of vendors! Lastly, we couldn’t have imagined a more dreamy couple to tie all these details together! Lindsay & Trevan looked so bad A, in all the right ways! Their energy and love for one another is simply captivating! Keep scrolling to see some of our faves from the day! Looking for more wedding ideas and inspo? Follow us on Instagram!